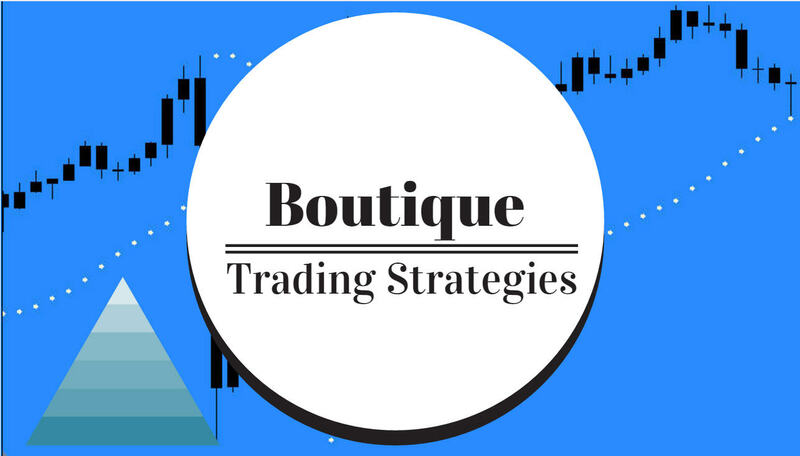 boutique trading strategies: How Can Ichimoku Help Your Trading Strategy? The Ichimoku indicator is a complete trading system in itself and several master traders, including people trading for funds and banks use it for their trading strategy. I am not going into the development of this system in this post, instead I want to illustrate my use of the Ichimoku cloud. I have placed 4 arrows on the chart, the first two point to two things, the first being the thickness of the cloud and the second being the two attempts to break through the support. Of course the thin cloud is not going to offer a great support and price can break through easily. The third and fourth arrows are meant to illustrate that the cloud is becoming thicker and there will be stronger resistance for price to cross in that area. That tells us that a quick rise in price may be difficult to accomplish. Notice that the cloud is extended 26 bars into the future, gives us an idea as to what may be coming. Here is a chart on Google. On this chart I have again placed 4 arrows. The first three illustrate the support, three times price tried to break support offered by the cloud and finally on the fourth attempt was able to break through. The fourth arrow shows a thin area of the cloud that price was easily able to break. You will notice if you take time that it often takes more than one attempt to get through the cloud. One more chart. 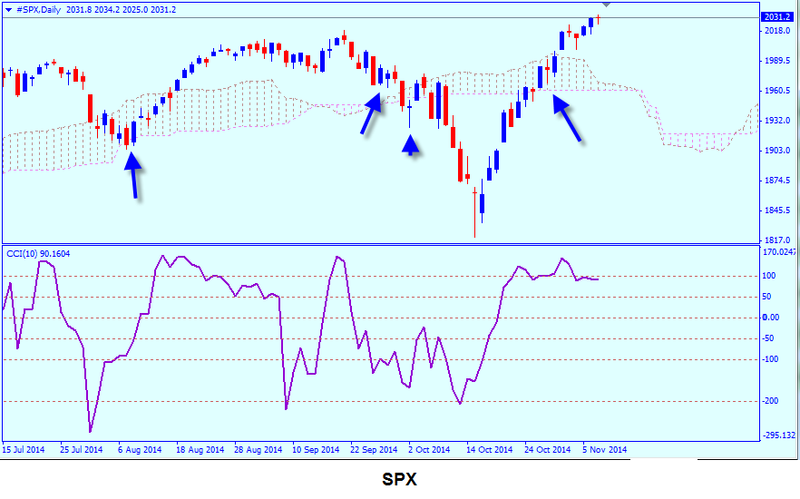 This chart is the SPX. Again 4 arrows!. The first two demonstrate the hesitation at support, the third shows the long wick as the buyers took control at the support level and the last one shows..... price had no regard whatsoever for the resistance of the cloud and burst right through it. 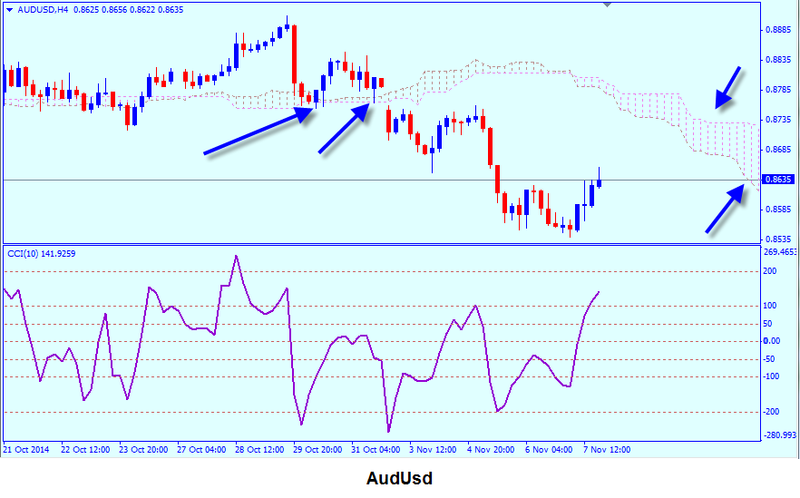 I think that confirms that we can not rely solely on an indicator, that we must always use price action for decision making. 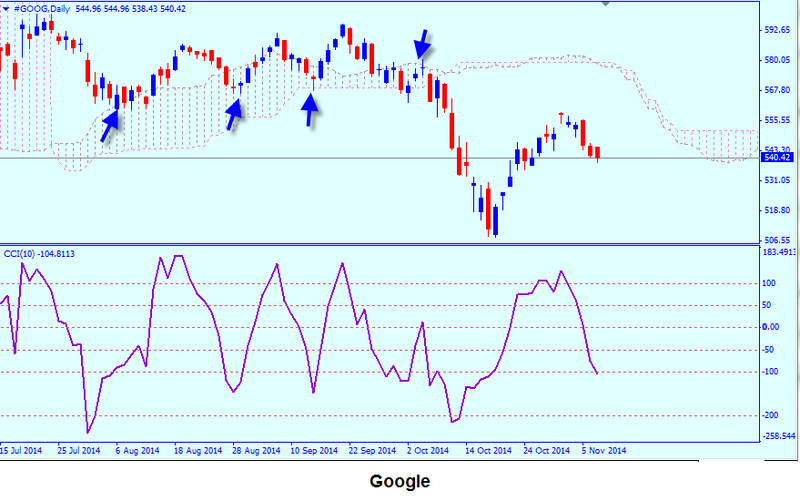 I have some resources regarding Ichimoku trading strategies, here are a couple links. The first is StockCharts.com .